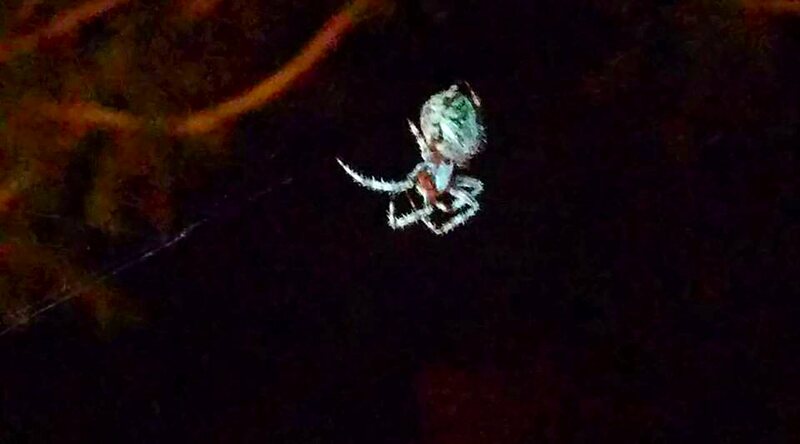 Not a great pic, but this lil spood has been hanging around my yard for about 4 days now. I'd love to know what she is. Hi, was she green or is that color a reflection off of something else?